Generous south glazing provide solar heat for this solar home. 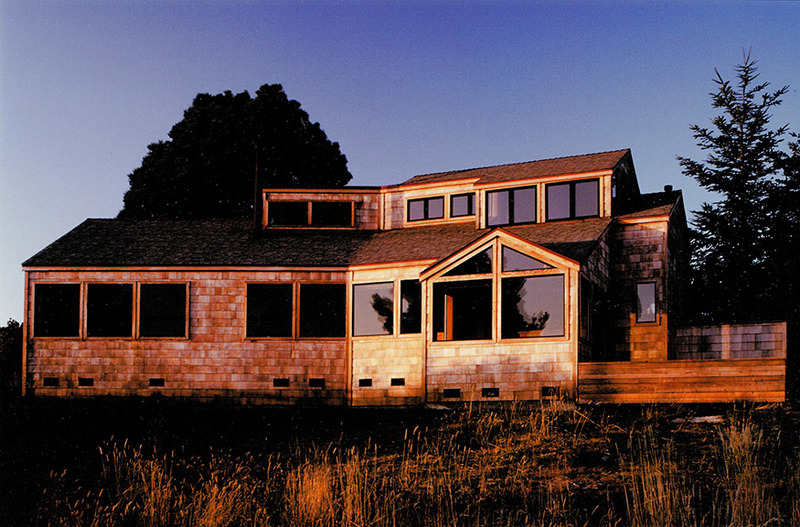 Local zoning code prohibited the use of overhangs to reduce summer overheating, so openable windows at the upper floor and clerestory provide stack-effect ventilation. The clerestory windows also provide natural light deep in the space, eliminating the need for electric lighting during the day.